VerticalResponse is an email marketing software that allows business owners to build, send, and track their email campaigns. Its features include autoresponders, automated follow-ups, advanced reporting, and more. In this article, we covered user reviews and pricing. Ready to get started with VerticalResponse? Get a free trial. Users who gave VerticalResponse a positive review said that it is a simple and user-friendly email marketing tool. Some of them also shared that the app is reliable when it comes to email deliverability. Great customer support was also cited. Users who gave VerticalResponse a negative review said that it has limited and outdated template designs. Some of them also mentioned that its reporting capability can be improved. 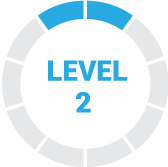 One user who gave VerticalResponse a negative review on G2 Crowd complained about the steep pricing as compared to other similar software. He also added that the email templates aren’t too visually appealing and that it could result in a low email interaction. VerticalResponse’s pricing is calculated based on your number of subscribers. They offer a Free plan for small business owners that come with a 300 subscriber limit and 4,000 email sends. Their paid plans — Basic, Pro, and Pro+ — start at $11, $16, and $196 per month respectively. These are for 500 subscribers with unlimited email sends. Ready to get started with VerticalResponse? Get a free trial. How can VerticalResponse help users improve their email campaign strategy? VerticalResponse has an advanced reporting feature that provides data on which subject lines and links are the most effective, as well as information on the geographic locations where emails are being read. It can also help compare results of multiple campaigns through its split testing feature. Can VerticalResponse users personalize their emails? Yes. Users can choose an email template that they want to customize and use for their email campaign. Vertical Response enables them to add, delete, move, or modify pre-formatted content blocks based on their preferences. 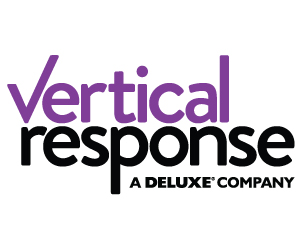 Not sure if VerticalResponse is the right fit for you? Read our reviews of all top email marketing software or check out one of these three VerticalResponse competitors. The system is very intuitive with easy drag and drop systems. It is easy for anyone to learn and their customer service is great if you ever have an issue. No major red flags with this software. It is updated quite a bit (which is good) but also requires that the main user be flexible and learning! A low spam rate is huge when choosing a mass emailing system. VR has a comparatively low rate meaning that most emails get into the recipients main inbox instead of spam folder.